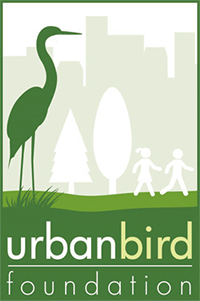 Agency Recommends Listing Florida Burrowing Owl as Threatened - Urban Bird Foundation | Birds. People. Communities. 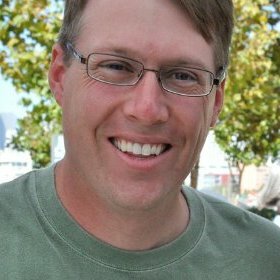 Urban Bird Foundation and our Burrowing Owl Conservation Network program applaud and support the Florida Fish and Wildlife Conservation Commission (FFWC) staff recommendation to upgrade the status of the Florida burrowing owl from a Species of Special Concern to Threatened on the state’s Endangered and Threatened Species List. On October 15, 2016, the FFWC staff made the listing recommendation in the final version of Florida’s Imperiled Species Management Plan. The Imperiled Species Management Plan addresses the conservation needs for 57 species. This comprehensive plan marks the culmination of work on Florida’s imperiled species system dating back to 1994. The plan has been in development since 2012 and includes action plan summaries for each of the species as well as integrated conservation strategies addressing multiple species. This 10-year plan maximizes conservation through directed coordination, outreach, and management, with a focus on filling key data gaps to improve conservation and management. On November 16-17, 2016 at the University of South Florida, FFWC staff will request final approval of the plan, which will increase protections for the raptor that has been experiencing a population decline. The Florida burrowing owl is geographically distinct from burrowing owls occurring in the western U.S. Burrowing owls require well-drained upland habitats, and are typically found at treeless sites with sparse or low-growing vegetation. Because of this, they may be found at airports, golf courses, in some neighborhoods, and at sites cleared for development. Loss of native habitat and the resulting dependence on altered habitat. Lack of protected habitat, even for rural burrowing owls. Lure of potentially hazardous habitat, such as predevelopment activities (vegetation clearing) resulting in sites that mimic native habitat of the burrowing owl. Urban area threats, including vehicle collision, predation or injury by domestic animals, and burrow destruction by mowers or other equipment. Protect and manage habitat to support current population and to accommodate population growth. Minimize impacts of development and land-use conversion through Species Conservation Measures and Permitting Guidelines, outreach, and technical assistance. Ensure adequate protection of burrows through education, enforcement, and management. Determine if one or more populations exist, and monitor population(s) to assess size and trend. 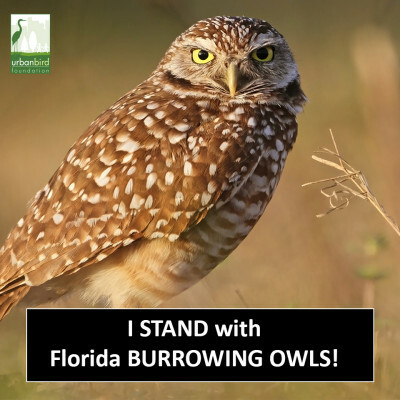 Additionally, Urban Bird Foundation has endorsed and pledged to support a South Florida Audubon Society plan to advance burrowing owl conservation in the state – a plan that will be delivered to the FFWC at the November meeting.